Mainly, altogether increasing overall ICT expenditure trailed by expanding implementation of liked devices for Internet utilization has been fuelling the requirement for automotive cybersecurity. 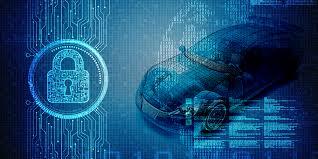 Rapidly developing implementation of connected car technology via car makers worldwide is recognized to be the significant factor stimulating the market for automotive cyber security estimated US$ 460 Million in the coming year. The component utilized in the global market includes software, services, and hardware (includes end-point security, access management, and security and vulnerability management). 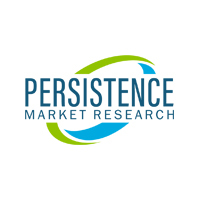 According to the Persistence Market Research’s latest published report, the global market for automotive cyber security is estimated demonstrate a healthy double-digit CAGR of 12.1% for the duration of the assessment, reaching for an evaluation of around US$ 1,150.6 Million by 2026 end. Mainly, altogether increasing overall ICT expenditure trailed by expanding implementation of liked devices for Internet utilization has been fuelling the requirement for automotive cybersecurity. Steady advancement along with launches of ICT technologies over a previous couple of years will likewise continue to drive the worldwide market in the approaching years. Technological improvement by OEMs, combined with fast implementation among SMEs is foreseen to help the expansion of the market in not so distant future. Growing digitization has been prodding the occurrences of cybercrimes, for example, cyber-attacks and threats, trailed by increasing awareness about the requirement for data security. A thriving rise of the linked vehicle ecosystem and high implementation of cloud technologies and IoT is additionally set to offer a sturdy driving force to the market expansion. Governments are tending to the liked auto ecosystems along with arranging regulatory principles for linked car security that is held to go about as a study aspect affecting the possibilities of the worldwide market. Various nations worldwide have laid down legal regulatory norms which punish any which outcomes incomplete or partial release of data or troubles data security to any level that is anticipated to be a significant aspect allowing the market to grow worldwide. Growing popularity of connected and autonomous cars are likely to consecutively effect in an expanded foundation of endpoint devices. The automotive computing constitutes endpoint security as an acting target and ultimately uplifts the overall market. Growing Middle Eastern and Asian nations have been confronting exceedingly rising cyber threats moreover, as a result, the prominent automakers in these regions are likely to bring forth a huge requirement for cybersecurity forces. Dominating automotive OEMs are in advance into making cars with telematics expertise. Additionally, technological advancements implemented in these regional markets are supposed to make a variety of lucrative prospects in the approaching years. Recently, Martin Coyne, CEO of Digitpol’s, files the first of a class vehicle cybersecurity solution which could function on the blockchain. The filed patent comprises of a result planned exclusively for German vehicles which are linked online to industry partners and OEM’s. The result will be exhibited in November 2018.